From 2017 LBUAS started partnership activity in Interreg South Baltic project FOCUS Facilitating blue growth with open courses by utilizing R&D products and virtual mobility. The lead partner of the project is Klaipeda University. Other partners are Linnaeus University (Sweden), University of Gdansk (Poland), Roskilde Business College (Denmark). Also ten associated partners will be involved in the project activity. The project will develop a virtual mobility platform to enable virtual learning on marine biotechnology, marine/coastal tourism and working in multidisciplinary cross-border teams to facilitate the exchange of knowledge and transfer of good practices related to Blue Growth in the marine sector. The project will carry out a pilot VMP with teachers, trainers (digital learning experts) and students from countries in the SBR using a digital education system. 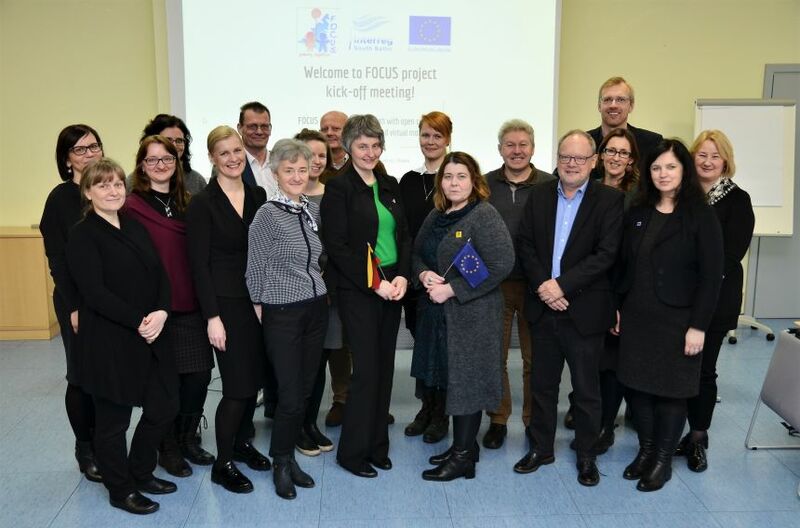 On 6 – 7 March in Klaipeda the lead partner Klaipeda University organised the first kick-of meeting. Partner organisations represented each other and their role in the project. Leader partner presented administration, communication, dissemination issues and questions regarding ICT system and the organised working in groups towards developing first steps of project activity.